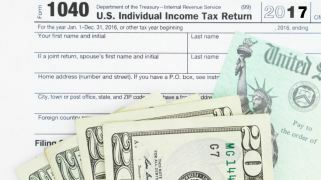 Concord police are warning the public to be on the lookout for scam artists posing as IRS tax collectors. On Wednesday, police said they've received numerous calls from citizens reporting suspicious phone calls or emails from alleged IRS agents. Victims said the alleged agents have requested immediate cash payment for overdue taxes, then claim that if the victims did not pay, they would be arrested or deported by local law enforcement agencies. With tax season here, police are urging the public to be cautious if they receive such phone calls or emails. Police said that the IRS does not contact people by phone or email, but rather will send an official letter. They also never ask for personal banking information over the phone. Citizens are asked to beware of unscrupulous tax preparers who promise large tax returns and to be on the lookout for groups masquerading as charitable organizations. Police also said that local law enforcement agencies do not issue arrest warrants to individuals who owe taxes.